Birkalla, with a number of first game players in the side, had to work hard to hold off a determined Adelaide victory in the first round of the Westfield FFA Cup qualifying competition on Saturday. Complacency was always going to be the test for Birkalla, and they were nearly made to pay early in the contest, when in the opening minutes Adelaide Victory had two golden opportunities to take the lead but were denied by some good goal-keeping by Julian Torresan in the Birkalla goals. The first chance fell to the Italian import Davide Marte in the opening minute of the game, when he drifted into the six-yard box to collect a cross from Aaron Westervelt, but he failed to convert his attempt on goal. Moments later a quick thinking Westervelt had another chance to get Victory on the score board with a long range shot which had Torresan stretching to push the ball over the crossbar in brilliant fashion. Adelaide Victory had Birkalla on the back foot early in the first half, with spasmodic runs by Kristian Zefi, Herman Forbason, and Achille Violi creating concerns for the Birkalla defence. It took Birkalla 15 minutes to get themselves into the game through the efforts of 15-year-old midfielder Ryan Yates, Kurtis Rowe, and Scott Nagel. The trio helping to wrestle back the momentum from Victory. Paul Radice, Ian Kamau, and Jordan Watson began to look dangerous up front from the increased ball supply by the midfield. It was in the 19’ that Birkalla were able to break the deadlock, when a Tom Dittmar through ball found its way to Watson, who had a free strike from close range that beat a diving Robert Bilney in the Victory goals. The goal seemed to release some pressure that had built up and Birkalla began to take control of the game. Birkalla continued to press high into their forward half, and were rewarded with a second goal in the 29’ when Nagel was able to thread a ball through to Radice who hammered the ball into the back of the net. Adelaide Victory had a chance to pull a goal back in the 31’ when Marte raced into the eighteen-yard box and squared a pass to Zefi whose shot on goal was denied by a good Torresan save. Both teams had opportunities in front of goal in the shades of half-time. Nagel could have given Birkalla a three nil lead in the 39’ but his shot from point blank range went wide of the wood work. While in the 42’ a good run on the left side of the park by Victory’s Harry Panagis setup Westervelt who shot the ball past Torresan for a goal, but his effort was judged to be off side by referee Gary Mooney. Birkalla went into the break two nil up in a more comfortable position than what they found themselves in forty-five minutes earlier. After the half-time break both teams created good scoring opportunities only to be deprived by some good goal keeping by the respective glove-men. Bilney in the Victory goals was called upon to make two great saves in as many minutes. The first save blocked a left foot shot by John Paul Cirillo, the second a diving save to deny Watson’s shot on goal. Adelaide Victory were able to create two great chances of their own. The first coming in the 70’ when Westervelt threaded a pass through the eye of a needle to find Zefi whose shot went wide of the target. The second attempt followed in the 75’ when a long ball by Karagiannis found its way into the six-yard box where successive shots on goal by Westervelt and Violi were brilliantly blocked by Torresan. Birkalla coach Steve Giovanniello introduced Fumiya Suzuki and Taro Kawamura off the bench and both players made an instant impact, Suzuki with his pace and Kawamura with his outstanding abilityto find space. Young Birkalla midfielder Yates continued his good form in the second half, and was well supported by Nagel, Rowe, LeCornu, Cirillo and Dittmar. Adelaide Victory fought the game out to the end, a pleasing aspect of the match that coach Westervelt noted after the game. “We came here to take on Birkalla and play good football and I think the boys did a good job. We created chances but our finishing let us down,” Westervelt said. Birkalla defender Tom Dittmar was pleased to get the win after a slow start to the game. “We came into the game with a couple of first game players who had a few nerves, so it took us a while to get our game going. “Adelaide Victory really challenged us early, but once we scored we were able to steady and take control of the midfield. Ryan (Yates) had a really good game alongside Ian (Kamau) and Scott (Nagel),” he said. The game was entertaining without reaching any great heights, with both sides taking some positives out of the contest. 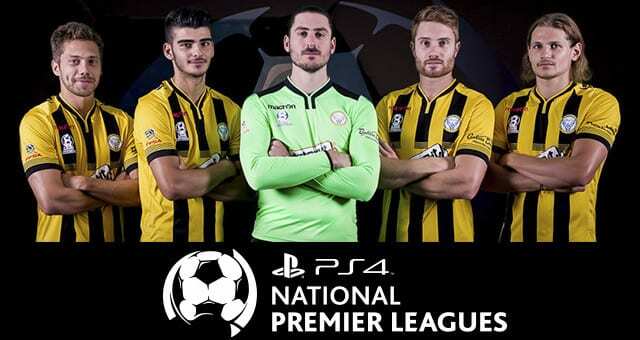 Birkalla progress to the second round of the Cup competition, while Adelaide Victory will go back to the State League having gained some respect with their performance against a PlayStation 4 National Premier League side.